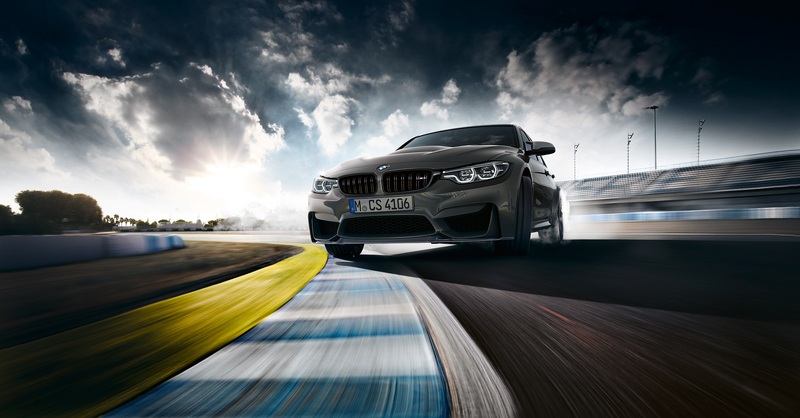 Limited to just 1,200 units, the M3 CS will come with a mild power bump and smattering of go-fast parts. As predicted back in July, BMW has given the M3 a power boost and a smattering of lightweight parts in order to create another limited-run model: The M3 CS. 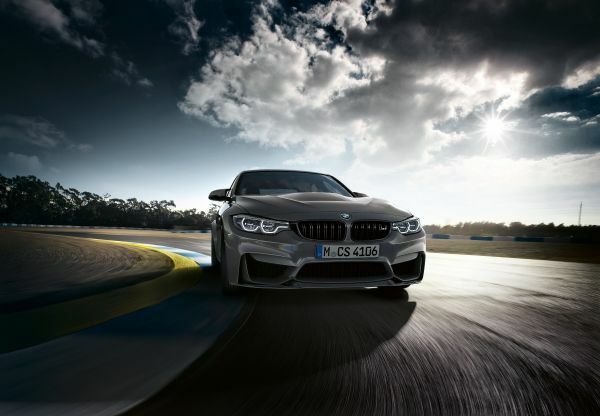 Inheriting many of the upgrades seen in its two-door, M4 CS sibling, the M3 CS sprints from zero to 62 miles per hour in 3.9 seconds thanks to a massaged version of the same 3.0-liter, twin-turbo straight-six that now makes 453 horsepower, nine up from the 444 hp found in a Competition Pack-equipped base M3 and the most power to come in a factory-backed M3 to date. Top speed is electronically capped at 174 mph. For your aural pleasure, the CS is fitted with a specially-tuned sports exhaust system as standard. 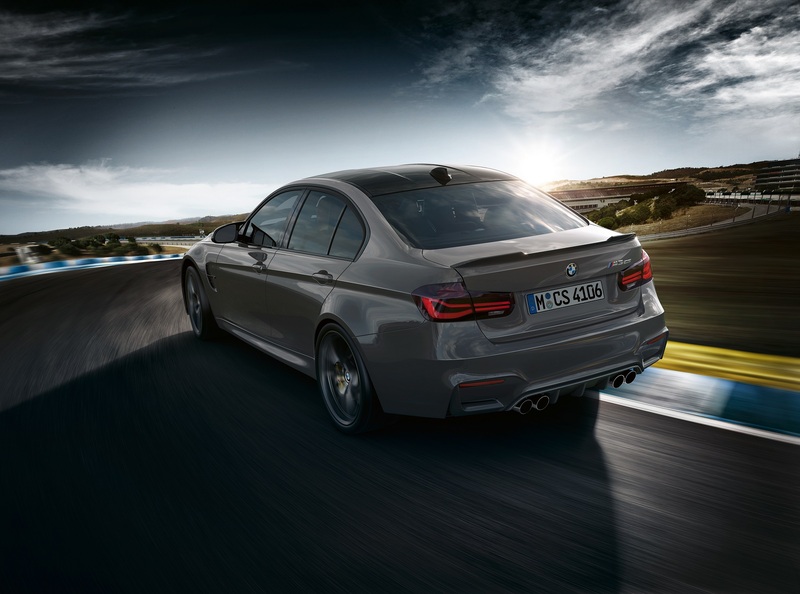 In the pursuit of greater canyon-and-track-carving prowess, the special edition M3 comes with an adaptive suspension setup lifted from the Competition Pack and revised settings for its stability control system and Active M differential. BMW has also thrown in a snazzy, new set of lightweight, ten-spoke wheels wrapped in semi-slick Michelin Pilot Sport Cup 2 rubbers that are totally road-legal, officer, I swear. 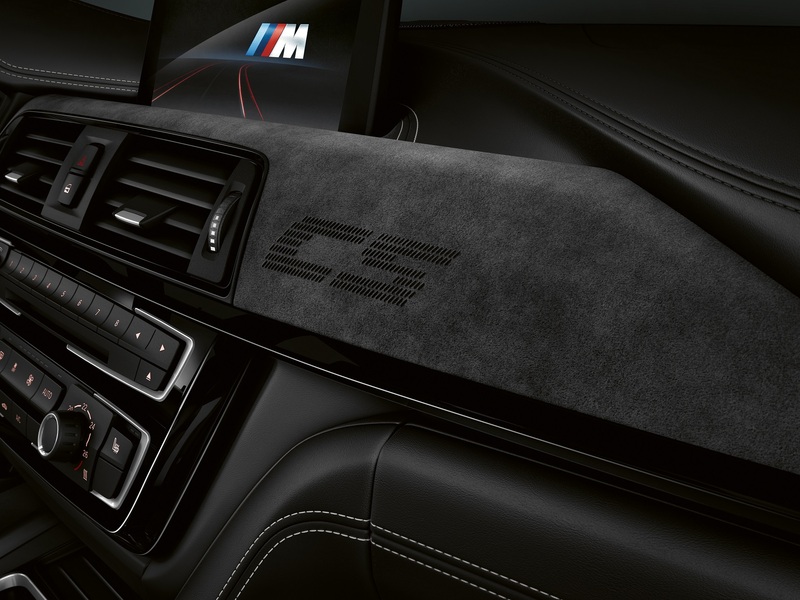 On the surface, the M3 CS sets itself apart with a mildly pronounced lip spoiler, chin splitter, and an interior liberally-laced in Alcantara and two-tone leather. A large CS logo is also embossed into the dashboard so your date knows exactly how much you paid for your Bavarian sport sedan. Sadly, the seriously cool OLED taillights present in the M4 CS and GTS haven't carried over to the four-door CS. The limited-run Bimmer gets a roof and hood made of carbon fiber-reinforced plastic for a lower curb weight and center of gravity, but don't mistake this for some stripped-out, track-ready special. 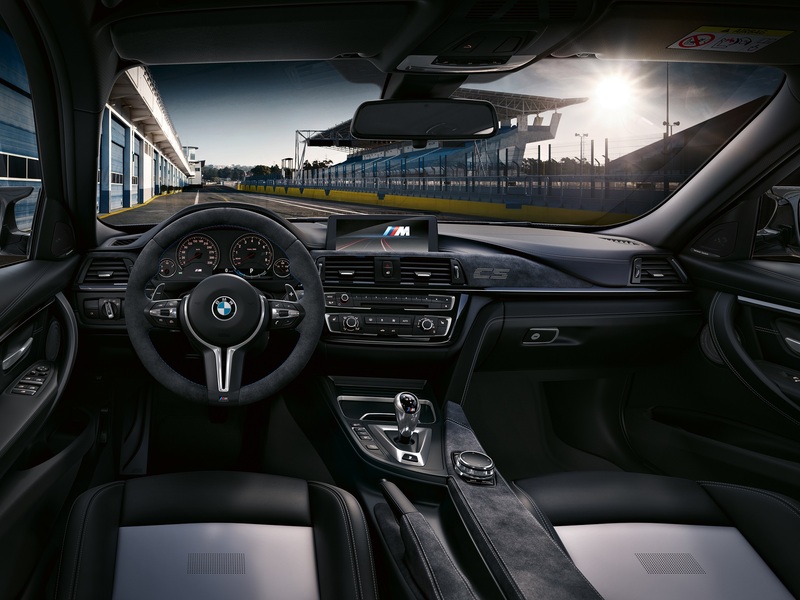 The M3 CS keeps all of the creature comforts that make owning a practical sedan, y'know, practical such as automatic climate control, a surround sound system from Harmon Kardon, and onboard nav. Poised to make a run at the four-door Nurburgring lap record currently held by Alfa Romeo's Giulia Quadrifoglio, the new BMW M3 CS will be limited to just 1,200 units and will go on sale January 2018. Carbon fiber all of the things.